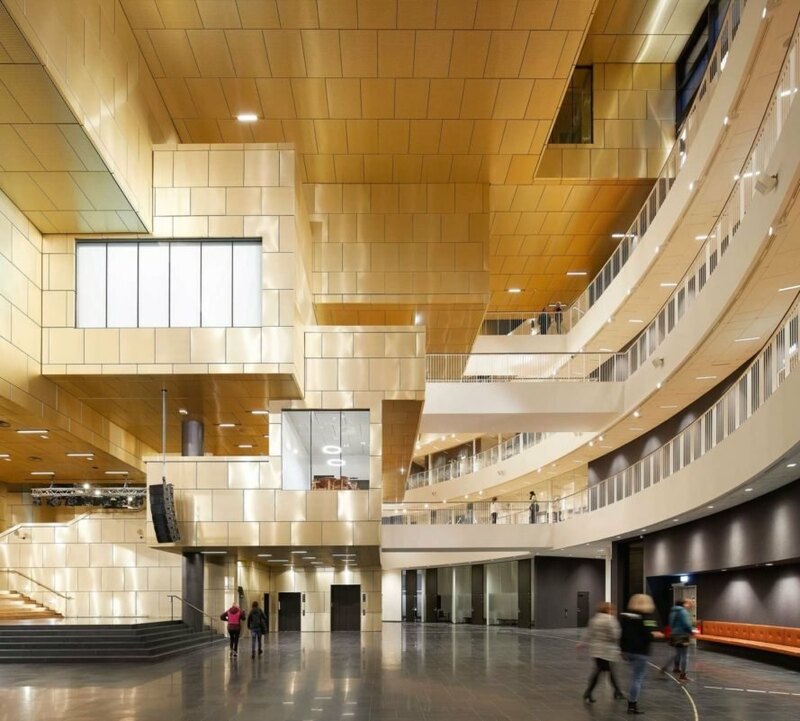 The northern Swedish town of Kiruna, that’s famously uprooting itself, has just inaugurated its new town hall — Kristallen, dubbed The Crystal — in the relocated city center three kilometers to the east. Designed by Danish architecture firm Henning Larsen, The Crystal is an energy-efficient homage to Kiruna’s existing town hall that was designed by the Swedish architect Arthur von Schamlensee. 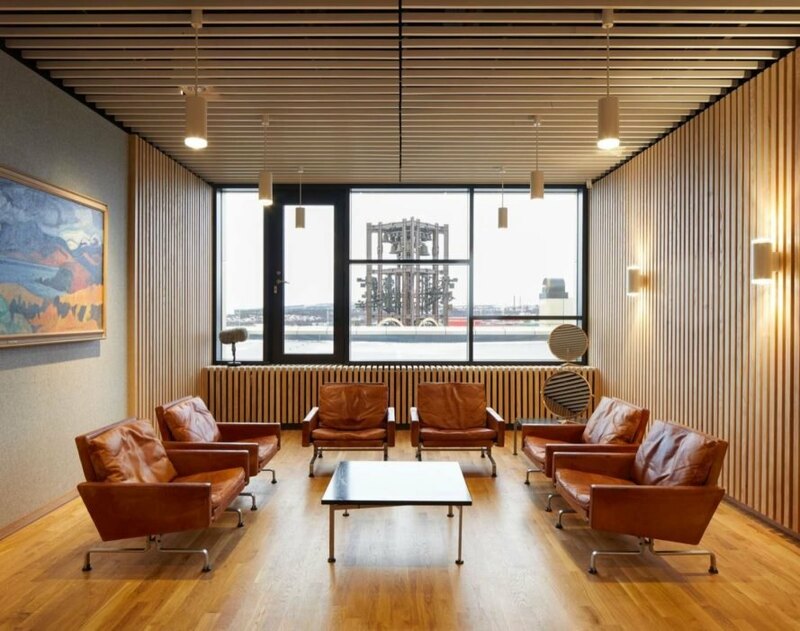 Conceived as the town’s “living room”, the circular building was built with recycled materials from the original structure, including the iconic 1958 bell tower and original door handles from the main entrance. Located nearly 100 miles north of the Arctic Circle, the Swedish town of Kiruna was founded atop the world’s largest iron ore mine, a site that provides 90 percent of Europe’s iron ore. However, a century of mining operations has destabilized the area, leading to rifts and sinkholes that have threatened to swallow the town. As a result, the state-owned mining firm Luossavaara-Kiirunavaara (LKAB) proposed demolishing the old town and relocating its estimated 18,000-person population to a new site three kilometers east. 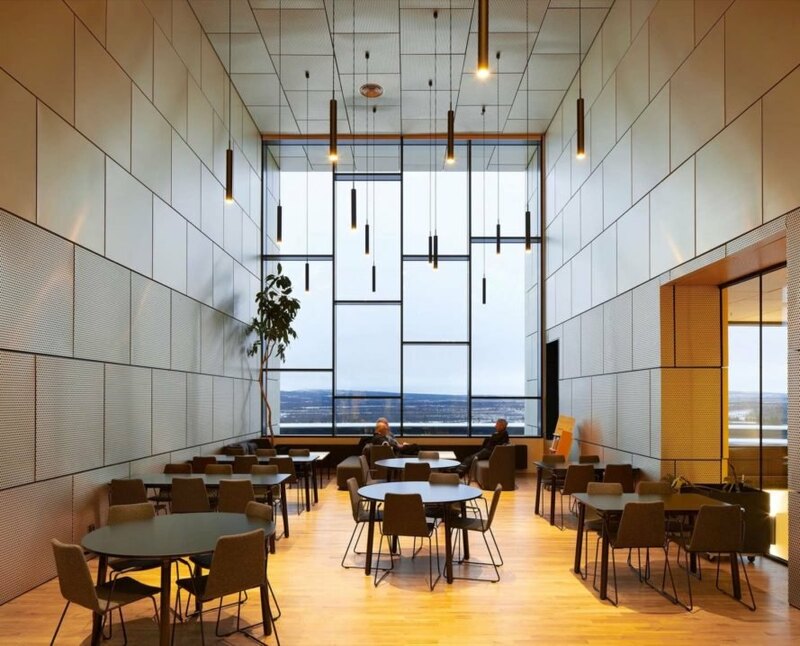 Henning Larsen, Temagruppen, WSP and UiWE won the competition to design the new town hall, called Kristallen (The Crystal), an important landmark located at the heart of new Kiruna. The building creates a distinction between the inner and outer volumes, each catering to its community and civic functions, respectively. The inner core of the community-oriented building offers public exhibition rooms, workshops and social common spaces. 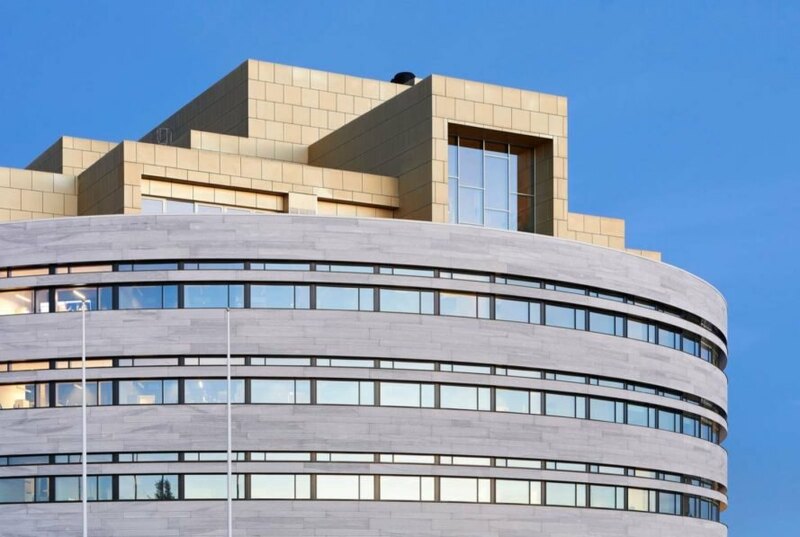 The outer volume includes staff offices for various municipality departments and is sheathed in a sleek circular glass and natural stone facade engineered to deflect winds and heavy snowdrifts. The angular forms seen on the exterior and interior of the building also reference the geometry of the iron minerals critical to the town’s identity. “The building we are opening today is not just exciting in form – It is also designed to meet high environmental standards. It is in other words a very modern city hall, which in the future will become a living room for Kiruna. 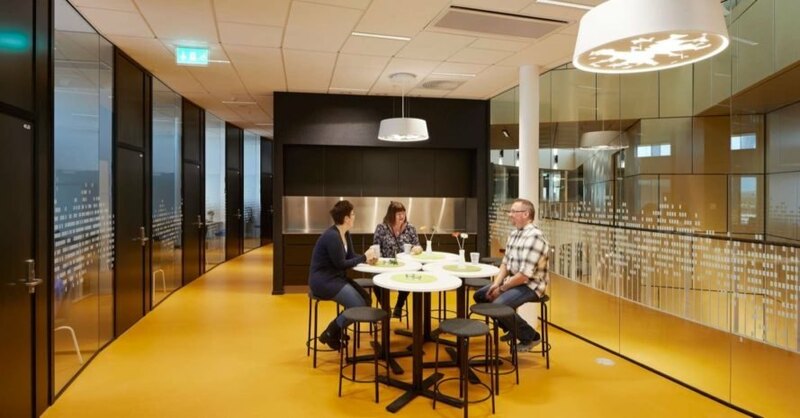 It is a place for meetings, work, art and culture in equal measure,” said King Carl XVI Gustaf of Sweden. 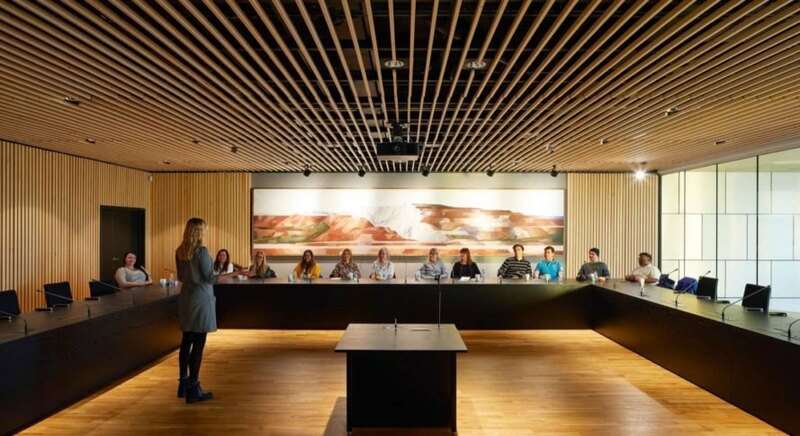 Henning Larsen has designed The Crystal, a new town hall for Kiruna. The building is energy-efficient and built with recycled materials. The structure is round and lies in the city center. The building pays homage to the former town hall designed by Arthur von Schamlensee. The town hall serves Kiruna's estimated population of 18,000. The building has many social spaces. There are also meeting rooms and workshops. The structure is exciting inside and out. Recycled materials are used throughout. The town hall is modern while still paying tribute to the town's history.